VISIBILITY • The low back wall design allows the operator to easily see the asphalt hopper, truck position and front mainframe region when paving. 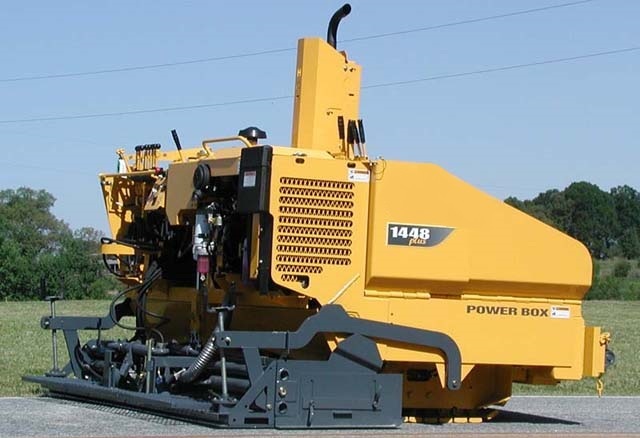 • The 1448 Plus model has a height of 51” • Competitive machines do not offer this type of visibility. ASPHALT HOPPER FRONT LIP • Retains asphalt within the paver’s hopper assembly as the truck unloads and pulls away. • This protects the ground drive system from undue contamination and produces a more even finished mat. SCREED • Full-floating, adjustable, vibratory and heated screeds are standard on the Power Box Series. 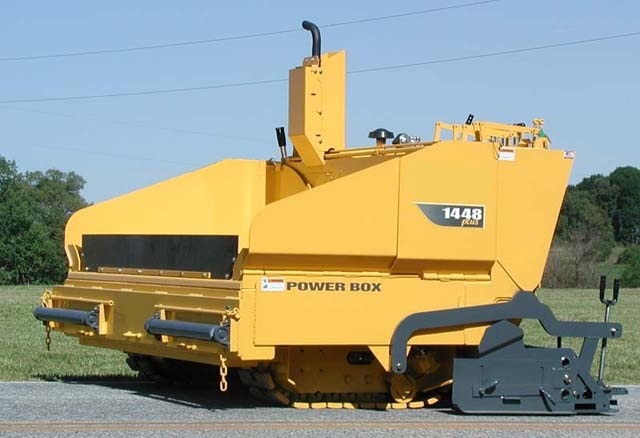 MATERIAL AUGER SYSTEM • On the 1448 Plus model, the auger system is located on the material shut-off gates to provide a consistent flow of asphalt to the screed. HYDROSTATIC DRIVE SYSTEM • All Power Box pavers have a variable hydrostatic pump design that provides smooth acceleration. • The smooth acceleration and infinite settings give the customer good mat thickness and consistency..
Wash-Down Stations Single Nozzle, 5 gal.